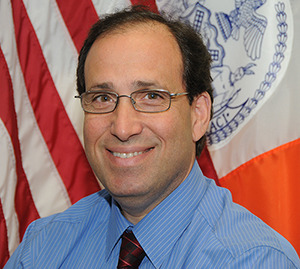 Mayor de Blasio appointed Vincent Sapienza as acting Department of Environmental Protection Commissioner earlier this month to replace the departing Emily Lloyd. Sapienza has been dragged to the front row as a figurehead representing the DEP after maintaining a non-political post in charge of the DEP’s infrastructure. The boots Sapienza will be stepping into will no doubt be muddy. Emily Lloyd left behind a number of major challenges that need to be addressed immediately. The first challenge is the absence of the water rate increase. For the first time since 1995, the water rate increase was revoked by court. How will the Water Board balance its budget if New York City citizens won’t be charged more for water? This is great news for the people but what will happen to the dynamics of political funds? Another challenge Sapienza will duel with are concerns the Multi-family Conservation Program (MCP) applications. MCP allows flat-rate billing of water bills for buildings with four or more apartments. The MCP program can help save water but thousands of MCP applications are backed up and the MCP guidelines are being ignored. Is the DEP withholding from processing these applications because they know they will lose money? These problems presented require a permanent commissioner, not from an acting commissioner. I strongly urge Mayor de Blasio to appoint Vincent Sapienza to be the permanent DEP commissioner so these issues can be dealt with. This is a time of crisis for the DEP, the DEP’s reputation and trust from the people are at stake and we need someone with a firm grip on the steering wheel, not an acting commissioner. Categories: DEP, New York City, Uncategorized, Water Board, Water Conservation | Tags: Bill de Blasio, Bronx, Brooklyn, City Council, conservation, DEP, Emily Lloyd, Mayor de Blasio, new york city, ny city council, nyc dep, nyc dob, nyc water board, Policies, Queens, Staten Island, Vincent Sapienza, water, Water Board | Permalink. Just short of a week ago, Supreme Justice Carol Edmead voided the Water Board and City Hall’s authority to impose a water rate hike for this year as well as terminated the program to reimburse small homeowners on their water bill credit. Citing unfair and preferential distribution of funds, the city of New York and the Water Board were stopped in their tracks by the people of New York. Thanks should be given to Joseph Strasburg of the Rent Stabilization Association who fought against City Hall and the Water Board for this win for the people of New York. Further applause should be given to Justice Edmead who is protecting the taxpayers of New York and our fragile water system from the greedy hands of politicians. Categories: City Council, DEP, Miscellaneous, New York City, Uncategorized, Water Board, Water Board Meeting, Water Conservation, Water Rate Hike | Tags: Bronx, Brooklyn, conservation, DEP, dep rate hike, Emily Lloyd, long island, new york city, ny city council, nyc dep, nyc dob, nyc water board, nyc water rate, Policies, Politics, Queens, reimbursement, Staten Island, water, water bills, Water Board | Permalink.